Here are some of the best third-party Apple Watch Nike+ bands that you can get right now, without having to buy that particular model of Apple’s wearable itself. Jealous of that stunning Apple Watch Nike+ edition that’s now available to purchase, but simply can’t justify the financial outlay for you, especially when you already own an Apple Watch? Let’s face it, while the Apple Watch Nike+ actually stands out as the more truer ‘Sport’ model, it is not entirely due to the custom watch face or software, it’s those incredible looking fluoroelastomer bands that really help the watch stand out. Well, as part of that deal with Nike, Apple has made it clear that it won’t be selling those gorgeous bands that ship with the Nike+ Apple Watch separately. Bummer, right? 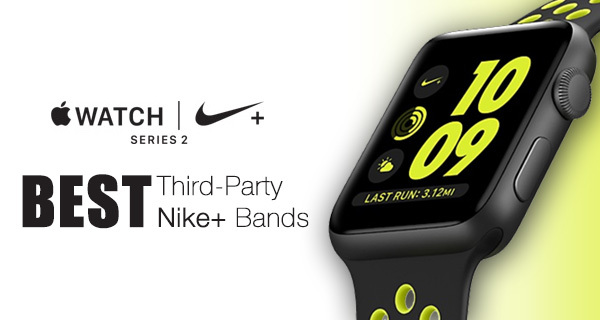 However, given the influx of third-party bands since the Apple Watch originally came out, it was inevitable that we would see the same for the Apple Watch Nike+ as well, and we sure did! So now you can replicate that experience by purchasing a high-quality third-party Nike+ band for your existing Apple Watch model. Check out the best available options below. You get an instant understanding of how beautiful this band is as soon as you look at it. 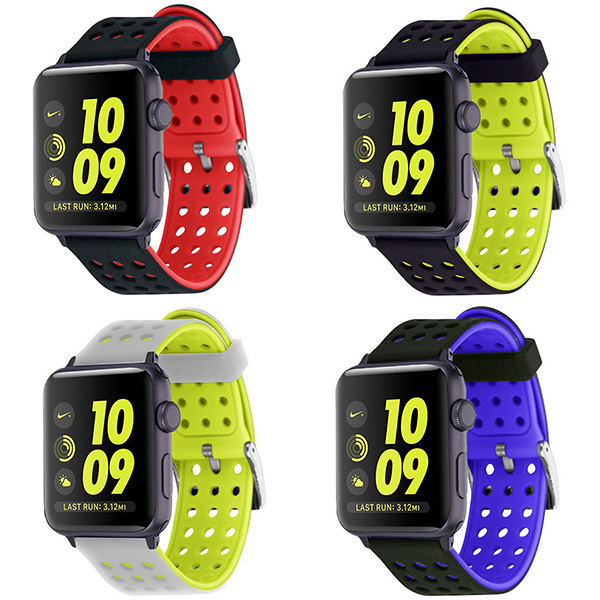 The contrasting colors (Black/Volt) of the strap itself alongside the inset of the perforations instantly make it pleasing to the eye, and of course, there’s also a variety of color combinations for both 38m and 42mm Apple Watch versions if you’re prepared to lose the Nike+ perforated feel to it. Stunning to look at and extremely comfortable to wear. You always know you’re onto a winner when you can just see a product and know that it screams quality, but comes with a price-tag that really suggests it’s at the bargain basement end of retail. 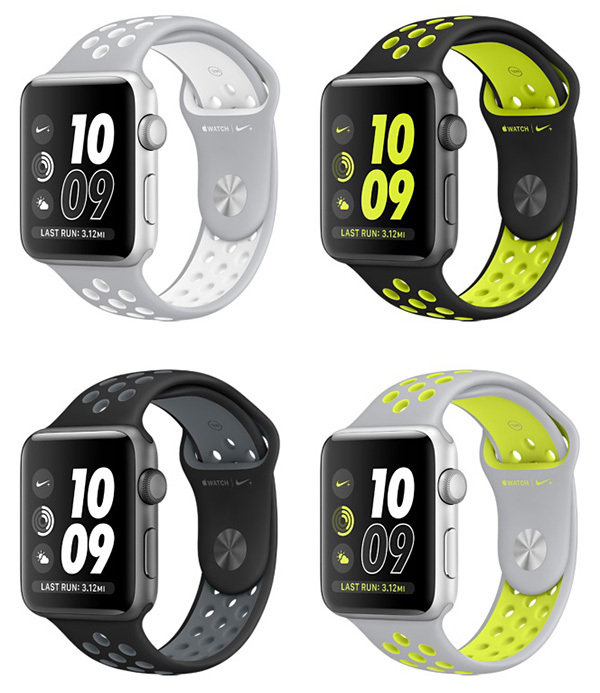 This gorgeous Nike+ lookalike band comes in all four colors: Black/Cool Gray, Flat Silver/Volt, Flat Silver/White, and Black/Volt, and is designed with the 42 and 38mm Apple Watch models in mind. At this price point you really cannot afford not to have this in your life. Moretek has taken a slightly different approach to replicating the look and feel of the Nike+ Apple Watch band. It has more perforations, less insets, and contrasting colors on top and bottom, as well as a high-quality, flexible silicon material to give it that premium look and feel. This gorgeous little strap comes in Silver/Yellow, Black/Red, Black/Blue, and Black/Yellow. 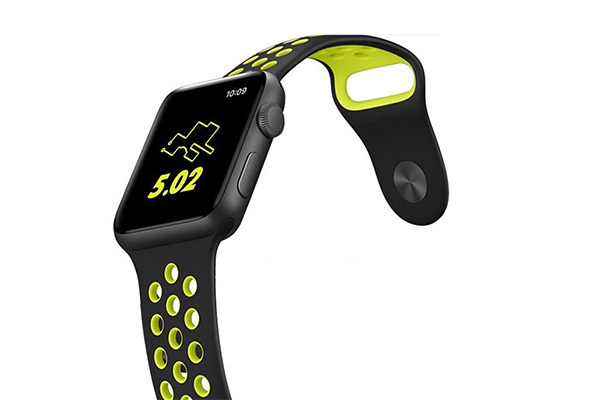 This band is manufactured from high quality TPU material, comes in a variety of colors for both size Apple watch versions, and looks absolutely flawless in the four colors: Black/Cool Gray, Flat Silver/Volt, Flat Silver/White, and Black/Volt. If you’re looking for the perfect accompaniment to those sweaty running and workout sessions, then this could be the band of choice. L Apple should of teamed with Adidas. Metrosexuals love this tech article. Cha-ching! You caught another mistake! Why don’t you get a job editing? This would make better use of your time as opposed to demeaning others on a regular basis. omg a typing mistake on a redmond pie blog… how is the world going to move past this obstacle? we can’t, we’re doomed for sure.